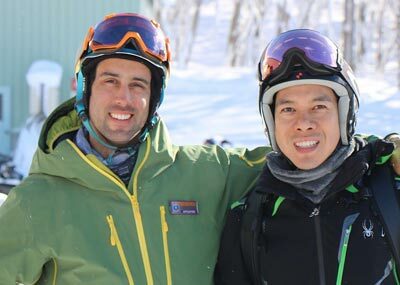 Our friendly and dependable guest services team is passionate about making your Niseko holiday unforgettable. Once you have submitted your request online, our guest services team will be in touch to confirm your service and activity details. Guest services (excluding tours and private ski lessons): If cancelled 20 days or more from the booking start date, a refund less 10% administration fee will be issued. Regardless of non payment, cancellations or amendments made 19 or days or less from the start will incur a cancellation of 100% of the total booking amount. 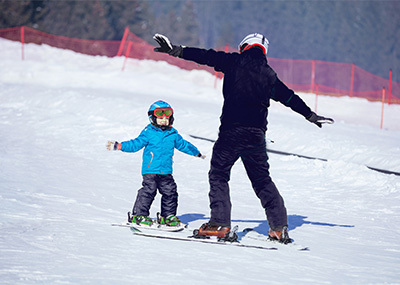 Tours and private ski lessons: If cancelled 4 weeks or more from the booking start date, a refund less 10% administration fee will be issued. Regardless of non payment, cancellations or amendments made less than 4 weeks from the booking start date will incur a cancellation fee of 100% of the total booking amount. 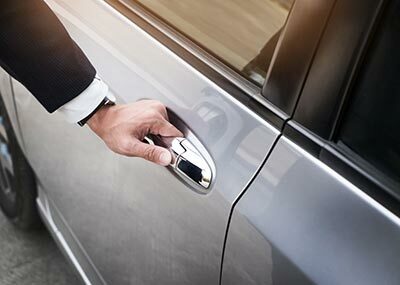 A private door-to-door airport transfer service to bring you to your accommodation and take you back to the airport at the end of your holiday. A regular scheduled coach available to and from the airport to the Hirafu Welcome Centre. Pick up and drop off service provided by our team. 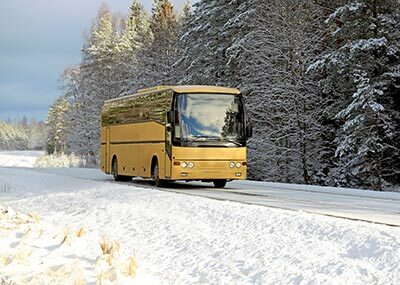 A regular scheduled coach available to and from Sapporo city to the Hirafu Welcome Centre. Pick up and drop off service provided by our team. 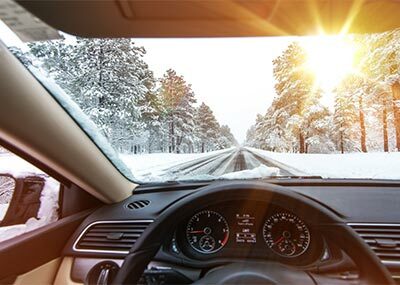 Enjoy the freedom of having your own car for as long as you need during your stay. Car pick up available from Sapporo, New Chitose airport or at your accommodation when you arrive. 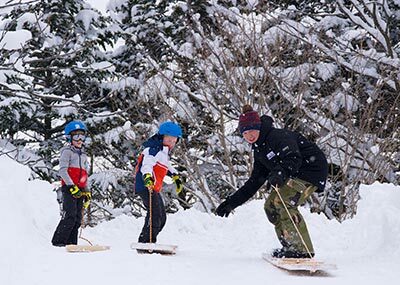 EdVenture Niseko offers multi-activity winter camp programs for children and young teenagers. Half day and full day sessions (including ski or snowboard lessons) available. Includes transfers. 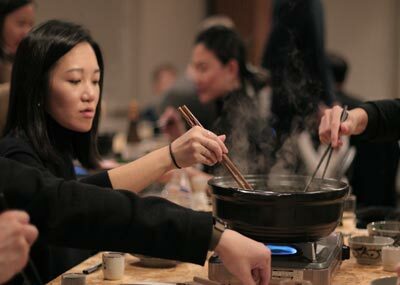 This winter features a series of special winter events for all to enjoy. Join us and experience great food, kids movie nights, a music festival and more. Take the hassle out of arranging dinner reservations with in house dining. Our MnK Chef will be available to prepare set course menus, in the comfort of your own chalet. 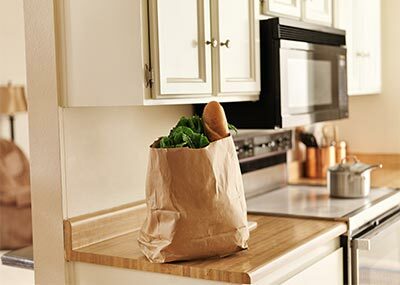 Order your groceries and drinks ahead of time, and be welcomed to a fridge stocked with the essentials. Simply download and fill out our grocery order form, and send it back to us. 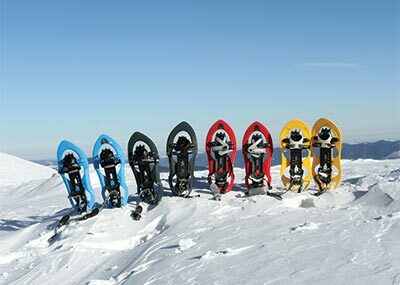 A unique snowshoe experience that offers participants two trail options depending on group size and challenge level. Guests have the option to include a photographer with their package to help capture adventure. 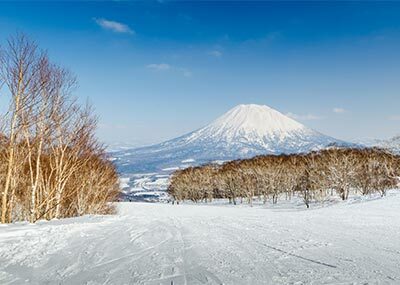 Feel rested, relaxed and rejuvenated on our Niseko onsen tour. 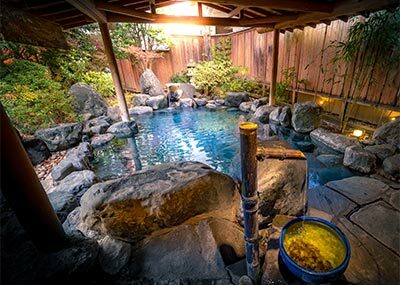 Visit some of the more out-of-the-way onsen, with transfers to and from your accommodation provided. Save time and hassle by ordering your lift tickets in advance. 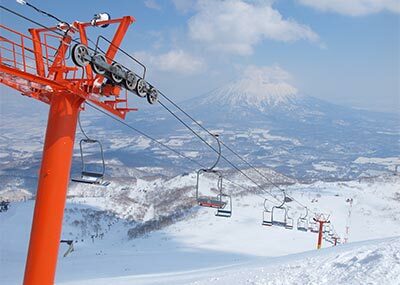 Avoid the queues, and be ready to hit the slopes as soon as you arrive in Niseko. 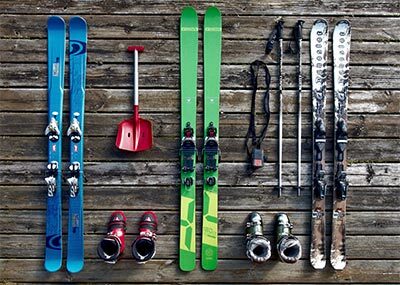 Our suppliers have the most extensive range of skis and snowboards in Niseko, and provide friendly and professional service. 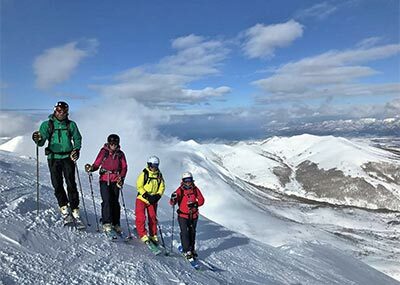 Private ski and snowboard lessons are now available through the MnK EdVenture Ski School. 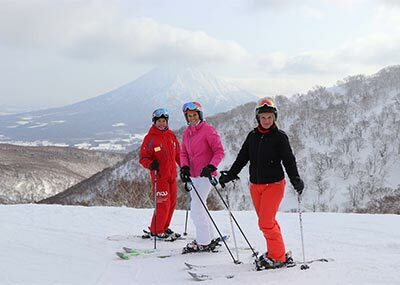 Fast track your skills on the mountain with a private ski or snowboard lesson with the team at Niseko Black. Group lessons with qualified and experienced instructors are an enjoyable and safe way to learn or improve your skills. 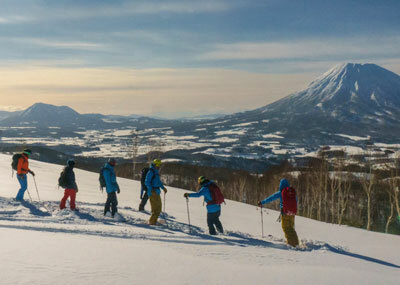 For the first time adventure seekers, power through the powder in the shadow of Mt Yotei. 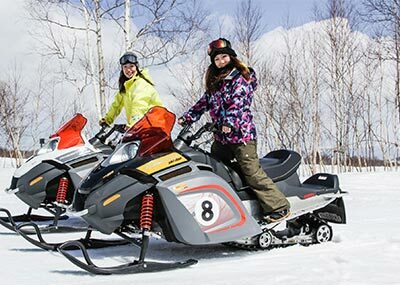 Take a break from the slopes and carve up the snow on a fantastic snowmobiling tour. Venture into hidden terrain with the experienced team at Japan Powder Connection. Enjoy perfect untracked powder all day. Suited for intermediate and the expert riders and skiers. The trusted team at Rising Sun Guides will take you to their favourite spots, so that you can explore beyond the ropes. Suited for intermediate and the expert riders and skiers. If you are after a great day being shown all the best inbounds and slack country in and around Niseko then this is the product for you. Join Whiteroom Tours for an epic day exploring. 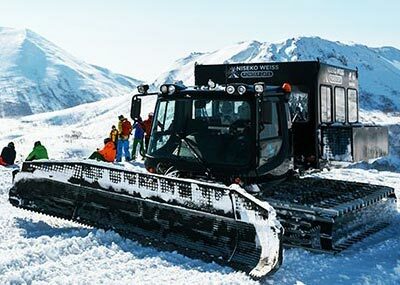 Experience the beauty of Hokkaido’s hidden backcountry and famous bottomless powder with Niseko Weiss Powder Cats. Terrain suitable for beginner or intermediate riders. 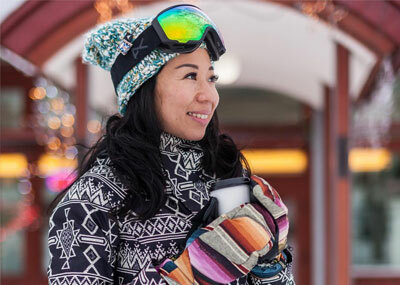 For Outdoors will let you try, buy, fly and ride through their Direct to Resort Programme – fitting in Singapore and sending your gear or apparel to any ski resort in Japan. 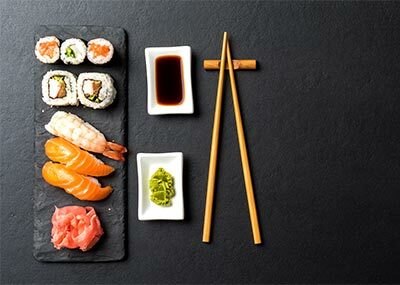 MnK guests can enjoy free delivery and save on Japanese sales tax subject to a minimum purchase of ¥5,000. For purchases in FOD’s e-Shop, MnK guests can also benefit from 8% off on all products. 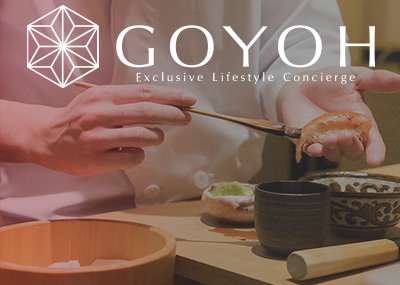 MnK Niseko is now partnering up with GOYOH, your exclusive lifestyle concierge, available to guests staying at The Orchards. From imagination to reality, let GOYOH take you on a perfect journey. Discover whiskeys, cosmetics and make exclusive restaurant reservations online.